Célébration de la Déclaration du 19 novembre 1948 sur le Parvis des Droits de l’Homme, place du Trocadero Lecture du texte de l’interpellation à l’ONU. Prises de paroles. The International Peace Institute (IPI), the Directorate General for International Relations and Strategy (DGRIS) of the French Ministry of Armed Forces and the Government of the Kingdom of the Netherlands are pleased to invite you to a seminar on “Protecting Civilians and Managing Threats: Non-state Armed Groups, Violent Extremism, and the Role of UN Peace Operations”. The event will take place on Friday, October 26, from 10:00am to 3:00pm. This seminar will explore difficulties faced by UN peace operations to protect civilians in complex environments, where creative solutions are needed to address non-state armed groups and violent extremism. It will provide the opportunity to present and discuss two IPI policy papers focusing on “engaging armed groups for the protection of civilians” and “protecting civilians in contexts of violent extremism and counter-terrorism.” — Both papers will be published in October as part of IPI’s Protection of Civilians Project. The International Peace Institute (IPI) and the United Nations Institute for Disarmament Research (UNIDIR) are pleased to invite you to an evening panel discussion on the role of conventional arms control in preventing conflicts and building peace. The event will take place at IPI on Thursday, October 25, 2018 from 6:00pm to 7:30pm. Poor regulation of arms and ammunition is a key enabler of conflict and a means of sustaining it. Peace and sustainable development cannot be achieved without effective conventional arms control. Despite this, conventional arms control is rarely integrated into conflict prevention thinking and action. The Secretary General’s Agenda for Disarmament calls for an examination of how disarmament and arms control can contribute to conflict prevention. This event, held during the opening week of the 73rd session of the UN General Assembly’s Committee on Disarmament, aims to improve understanding of the roles and impact of conventional arms in preventing and managing conflicts, as well as to examine approaches to better identify, utilize, and integrate conventional arms control measures and tools to sustain peace. "Stand Up for SDG16+: Accelerating Progress on SDG 16+" - a high-level side event to the 73rd Session of the United Nations General Assembly. The event will be held on September 28 2018, 1:15-2:30 pm (EDT) in Conference Room 11, UNHQ New York. In the same spirit of the joint 2018 HLPF launch, this side event will continue to shine a spotlight on SDG 16+ and build momentum to support the achievement of SDG 16+ as an end goal itself and as an enabler for other SDGs. The side event will provide a platform for Member States, private sector, civil society, and youth to highlight how they are supporting the achievement of SDG 16+. Please note: RSVP is required through Eventbrite. Entry requires a UN Ground Pass. If you do not hold a UN Ground Pass please follow the instructions on the Eventbrite registration form. Entry to the venue is from the 46th Street, 1st Avenue entrance. In addition to the UN Security access pass, a government-issued photo identification (which must match the name given for UN Security pass) is required to enter the premises. The Co-Chairs of the United Nations Senior Africans Group, Mr. Adama Dieng, Under-Secretary-General and Special Adviser to the Secretary-General on the Prevention of Genocide, and Dr. Phumzile Mlambo Ngcuka, Under-Secretary-General and Executive Director of UN Women, invite you to a High-Level Summit during the 73rd Session of the United Nations General Assembly, entitled "Africa: Open for Business Summit" - VIP Dialogue with Presidents and Prime Ministers, Captains of Industry, and other Dignitaries to learn about Business Opportunities in Africa. The International Peace Institute (IPI), in partnership with the United Nations Development Programme (UNDP), would like to invite you to a conversation with Liberian President, H.E. Mr. George Manneh Weah, as part of its Global Leader Series. Following President Weah’s presentation, there will be a discussion moderated by IPI’s president, Terje Rød-Larsen, with Sweden’s Permanent Representative to the UN and Chair of the Liberia Configuration of the UN Peacebuilding Commission, H.E. Mr. Olof Skoog, and the Assistant Secretary General and Director of the Regional Bureau for Africa of UNDP, Ms. Ahunna Eziakonwa, on Liberia’s peacebuilding objectives and development priorities. The event will take place at IPI on Wednesday, September 26, 2018, from 8:15am to 9:45am. Liberia’s presidential and legislative elections at the end of 2017 and the successful transfer of democratic power two months later marked a significant accomplishment in the country’s history. Following this peaceful transition and the end of the UN Peacekeeping Mission in Liberia (UNMIL), Libera now embarks on the next stage of its development trajectory. As part of this process, President Weah and the Liberian government are finalizing the country’s new development framework, the Pro-Poor Agenda for Prosperity and Development (PAPD). At this Global Leader Series event, President Weah will reflect on Liberia’s current opportunities and challenges while also addressing how best the international community can sustain and amplify its support to the country. 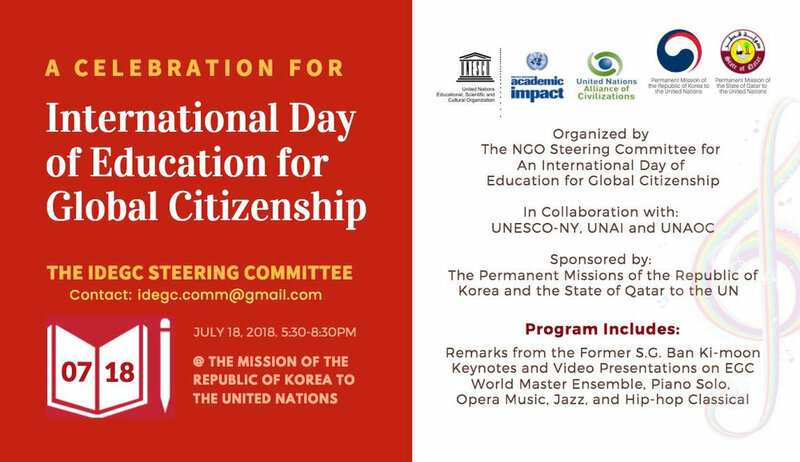 Because of the strict security relating to the opening of the United Nations General Assembly, you will need to arrive by 8:00am and bring a photo ID, as well as a copy of this invitation to enter the building. Due to space constraints, we can only accept the first 100 positive responses. Delegations wishing to take the floor are requested to contact the Mission of Italy (maurizio.antonini@esteri.it; jessica.cupellini@esteri.it), specifying the level of the speaker. The practice of the death penalty around the world provides an emblematic example of how the imbalances in the application of the rule of law and lack of fair and proportionate sentencing in the administration of justice impact the poor. The marginalization of the poor from the protections of justice has serious consequences for the implementation of the SDGs. People in poverty face many obstacles when approaching the criminal justice system. Their lack of financial resources often undermines the extent and quality of legal advice that they receive. This precarious situation exposes them to fatal disadvantages in criminal trials, which may lead to the death sentence. Against this background, and within the context of the UN’s long-standing support for the abolition of the death penalty, OHCHR, Italy, Brazil, Burkina Faso (tbc), France, and Timor-Leste will hold a side event during the High-Level opening segment of the 73rd Session of the General Assembly to discuss the links between poverty, access to justice and the death penalty. Within the context of its efforts to promote respect for international human rights and the rule of law, since 2007, the General Assembly has adopted a series of resolutions calling on States to establish a moratorium on the use of the death penalty. The most recent General Assembly resolution 71/187, adopted on 19 December 2016 welcomed progress towards abolition globally, encouraged moratoria and called upon all States to respect international standards that provide safeguards guaranteeing protection of the rights of those facing the death penalty, in particular, the minimum standards, as set out in the annex to Economic and Social Council resolution 1984/50 of 25 May 1984. The General Assembly will continue consideration of the issue at its 73rd session. Despite these growing calls for a moratorium on executions, the death penalty continues to be applied in many Member States, disproportionately impacting the poorest or the most economically vulnerable individuals. Poverty, discrimination and social and economic inequalities affect access to justice for those who are facing possible execution. Defendants will in some cases be discriminated against because of their social or other status. In 2017, on the World Day Against the Death Penalty, a group of United Nations human rights experts called for urgent action to end this imbalanced use of the death penalty on people from poorer communities. The marginalization of the poor in the administration of justice, as demonstrated by the application of the death penalty, has disastrous consequences for the development and implementation of the SDGs. Encourage States to take appropriate actions to ensure that poor people are legally represented in criminal justice and promote their fair and proportionate sentencing. The International Peace Institute (IPI) in cooperation with the Norwegian Nobel Institute is pleased to invite you to a discussion on “The Nobel Peace Prize: Past, Present, and Future” featuring Dr. Asle Toje, a member of the Nobel Peace Prize Committee on Monday, September 17th, from 1:00pm to 2:30pm. The Nobel Peace Prize is world-renowned as the most prestigious recognition of achievements in the pursuit of peace. This event will focus on the history of the prize, how it currently serves to contribute to the promotion of peace in today’s world and how it will do so in the future. Asle Toje is the former Research Director at the Norwegian Nobel Institute in Oslo and a current member of the Norwegian Nobel Committee. He is also an influential public intellectual and commentator. Since completing his PhD at Cambridge in 2006, Toje has lectured and taught at universities in Europe and beyond. His research focuses on the intersection of security studies and European studies. Among his scholarly works are America, the EU and Strategic Culture (2008); The European Union as a Small Power (2010); and Will China’s Rise Be Peaceful? (2018). The event will be moderated by Terje Rød-Larsen, President of IPI. The International Peace Institute and the Office of the President of the 72nd Session of the UN General Assembly invite you to an interactive discussion with members from the Team of External Advisors to the President of the General Assembly. The event will take place at IPI on Monday, September 10, 2018, from 9:15am to 12:45pm. The Team of External Advisors to the President of the General Assembly is a pro bono group of sixteen globally respected individuals dedicated to multilateralism who have been remarkable in their service -- both to their country and in the international arena. The team was formed with the aim of discussing and sharing views on strategic questions, including the scope and depth of the work and engagement of the UN, as well as the role of the General Assembly. As the theme for the 72nd Session of the United Nations General Assembly was "Focusing on People Striving for Peace and a Decent Life for All on a Sustainable Planet," the Team focused on peace, conflict prevention, and mediation. At the event at IPI on September 10th, members of the Team will highlight ideas and recommendations that emerged from their discussions with the President of the General Assembly throughout his term. These discussions were summarized in the Final Report of the Team of External Advisors, which will be available at the event. The meetings covered a wide range of topics including global political issues, multilateralism, sustaining peace, the implementation of the Sustainable Development Goals, the Paris Agreement on climate change, human rights and human dignity, and the future and reform of the United Nations. The 67th UN DPI/NGO Conference will focus on the value of multilateralism to identify and implement global solutions for global problems, to discuss concrete ways for the UN, in partnership with NGOs and civil society at large, to take the fundamental vision of these people-centered mandate forward, and to examine the repositioned UN Development Systems as a platform to work and advocate in closer partnership. The current list of Planning Sub-committees and Co-chairs is available here. The event will provide a platform for dialogue about integrated sustainability and human-rights based approaches in the achievement of the SDGs and incorporating SDG 16 and human rights principles into the post-2020 global biodiversity framework. It will also discuss tools and strategies for implementing the biodiversity and ecosystem dimensions of the right to a safe, clean, healthy and sustainable environment, including in the context of key sectors (SDG 12 on sustainable production and consumption patterns). Please note that there is no need to RSVP. However, access to the UN building does require possessing a UN ground pass. Following an update on the work of ICAT, including the recent ICAT Principals Level Meeting pursuant to GA Resolution 72/195 (OP10-11), interventions from the floor will be welcomed. Refer A/HRC/37/65 (2018), "Joint study of the Special Rapporteur on the promotion of truth, justice, reparation and guarantees of non-recurrence and the Special Advisor to the Secretary-General on the Prevention of Genocide"